The Seattle powerhouse that is General Mojo’s plays trippy, psychedelic music that floats, sits, examines and is taken by the breeze again. Co-fronted by Heather Thomas, a standout vocalist and one of the city’s best drummers, General Mojo’s have set their sights on a July 6th EP release with Vaudeville Etiquette at the Southgate Roller Rink. To preview the show, we wanted to catch up with Thomas and ask her about her work in the band and to premier a new track from the upcoming record. 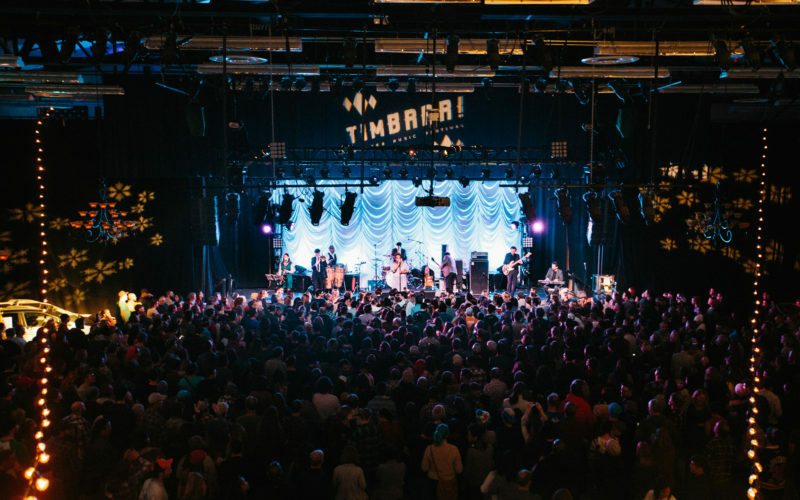 You wear a lot of hats as a musician in Seattle, from fronting your own solo project to drumming for Mary Lambert to co-leading General Mojo’s. What does it do for your creative mind to have so many outlets? It allows me to do pretty much whatever I want. I get to create all kinds of different music and I get to choose the kids of music that I enjoy the most. I get to play in awesome bands all over town and tour with different groups and I get to play with all my friends. How did your relationship with Mary form and what has working together taught you about the business of music? I started working with Mary because she was looking for a drummer to take on the road. She posted in the Seattle Women in Music Facebook page and someone tagged me. I’d already worked with a couple who she was on the road with on tour with Macklemore like Hollis Wong-Wear and Andrew Joslyn. They put in a good word so when I applied she’d seen my name and recognized it. That was a good little exercise in practicing networking. There’s so much to learn from Mary. She’s an incredible performer, she’s incredibly gracious. She’s kind to people and her fans. It’s not so much about business with her, really and truly her art is at the heart of it. She’s also very smart business-wise but that’s secondary to her incredible talent and heart. 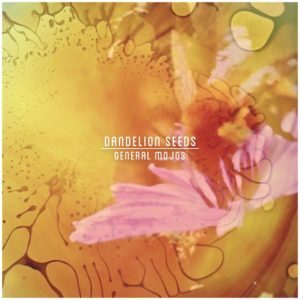 As a band, General Mojo’s are not afraid to experiment, from your live, 24-hour jam to the spacey sounds of the new EP. Where does this outside-the-box interest come from? We are inspired by a lot of the psychedelic rock coming out of the 60s and 70s and I think once of the things that was genuine about that music at the time was that it pushed boundaries, it did different things than the standard. Right now, everything is so up in the air with the music industry and you can kind of do whatever you want. For example, the physical copy of our CD is clear, it’s got this cool transparent finish. And that 24-hour thing was just a crazy idea I had. They used to throw these telethons to raise money and I thought, “What id we had a 24-hour thing and played music the entire time?” The band instantly said yes. We’ll now probably make it an annual thing featuring different nonprofits. The titular song for the new EP is full of cosmic lyrical wisdom. What about this style inspired you? Dune Butler wrote that song. And it was inspired by this graphic novel I’d given him, this really beautiful existential piece of work that feels a bit like a trip when you get done with it. You feel like you went on a journey. And that’s where this song comes from. If you completely forget the desert, you’ll recall it when you come back. He wrote it right around the time Bowie had just died, and Prince. The current political climate felt more up in the air. And so I think it was a way to deal with those on a more psychedelic scale. Like, entertaining the absurd. How did you decide to hold your EP release show at a roller rink? I saw Heatwarmer and Karl Blau at the roller rink earlier this year. And it was so fun. We’ve been playing in Seattle for a while, we’ve played all the venues and sold out some of our favorite spots in town. So, we thought, what do we do next? Instead of brining people out to venues we’re familiar with, we thought this would be fun. We’ll be playing in the middle of the roller rink with everyone skating around us. What do you want to say about the new track we’re releasing today, “Dandelion Seeds”? Dune wrote it last August when it was really hot, in the summer; when everyone is going through that feeling in Seattle, when it’s too hot and we’re wishing for the rain again. But the song talks about moving forward and letting things go, as well as enjoying beauty around you. It’s about trusting that you might not know where you’re going, but that you will flourish again.